FORT WORTH, Texas (Jan. 7, 2013) – The Ben Hogan Award Committee has announced that Corey Pavin will serve as the keynote speaker at The Ben Hogan Award banquet at Colonial Country Club on Monday, May 20, 2013. Pavin competed in three Ryder Cups for Team USA (1991, 1993, and 1995) and served as captain of the 2010 squad. The 1991 and 1993 United States teams were victorious, and he also competed on winning Presidents Cup teams in 1994 and 1996. He amassed an 8-5 overall match record in Ryder Cup play. The owner of 15 career PGA TOUR victories, Pavin’s signature win was a come-from-behind triumph at the 1995 U.S. Open. In addition to his U.S. Open victory, Pavin posted 11 other top-10 finishes at major championships. Twice Pavin’s name has been etched into Colonial’s Wall of Champions, as he won the tournament in 1985 and again in 1996. The native of Oxnard, Calif., topped the PGA TOUR’s money list in 1991 and spent more than 150 weeks in the top-10 of the Official World Golf Ranking between 1986 and 1997. In addition, he holds the PGA TOUR’s 9-hole scoring record, a remarkable 8-under 26 which he achieved in the first round at the 2006 U.S. Bank Championship in Milwaukee, his last win on the circuit. Now a regular on the Champions Tour, Pavin won the Allianz Championship in February of 2012. As a collegian, Pavin was a two-time first-team All-American at UCLA (1979, 1982) and a member of the 1981 U.S. Walker Cup team. The list of previous keynote speakers includes Lance Barrow, Charles Coody, Ben Crenshaw, Tom Lehman, Jim Nantz, Dave Stockton, Pat Summerall, Ken Venturi and Lanny Wadkins. 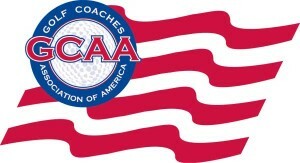 The most prestigious award in men’s college golf, The Ben Hogan Award is presented annually to the top men’s NCAA Division I, II or III, NAIA or NJCAA college golfer taking into account all collegiate and amateur competitions during the past 12-month period. 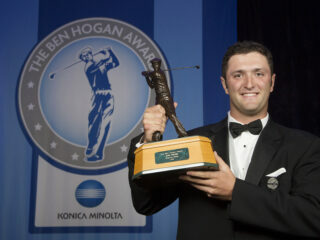 The Ben Hogan Award Selection Committee represents leaders in professional, amateur and collegiate golf.